Quo facto quando orientur controversiae, non magis disputatione opus erit inter duos philosophos quam inter duos computistas. Sufficiet enim calamos in manus sumere, sedereque ad abacos et sibi mutuo (accito si placet amico) dicere: "c a l c u l e m u s !" Timm/Gruner: Parameterised Three-Valued Model Checking. TO APPEAR in Science of Computer Programming, 2016 --- with Appendix. Gruner/Kumar/Maibaum: Towards a Body of Knowledge in Formal Methods for the Railway Domain: Identification of Settled Knowledge. CCIS 596, pp. 87-102, 2016. Timm/Gruner: Instantiation Reduction in Iterative Parameterised Three-Valued Model Checking. LNCS 9526, pp. 19-35, 2016. Gruner: Belated Comment to: "What is Informatics? (2007)" Letter to the Editor, South African Computer Journal, p. 118, 2015. Gruner/Bartelmann: The Notion of 'Aether': Hegel versus Contemporary Physics. Cosmos and History: The Journal of Natural and Social Philosophy 11/1, pp. 41-86, 2015. Timm/Gruner/Sibanda: Parallel SAT-Based Parameterised Three-Valued Model Checking. LNCS 9232, pp. 242-259, 2015 --- with Appendix. Gruner: On the Future of Computer Science in South Africa: A Survey amongst Students at University. Proceedings 44th SACLA, pp. 215-219, Johannesburg, 2015. Tewelde/Gruner/Olivier: Notions of 'Hypothesis' in Digital Forensics. Chapter 2 of Advances in Digital Forensics XI, IFIP Advances in Information and Communication Technology 462, pp. 29-43, Springer-Verlag, 2015. Timm/Gruner: Parameterisation of Three-Valued Abstractions. LNCS 8941, pp. 162-178, 2015. Gruner/Kroeze: On the Shortage of Engineering in Recent Information Systems Research. ACIS2014: 25th Austral-Asian Conference on Information Systems, Paper #270, 2014. Gruner: On the Historical Semantics of the Notion of Software Architecture. TD: The Journal for Transdisciplinary Research in Southern Africa 10/1, pp. 37-66, 2014. Gruner/Haxthausen/Maibaum/Roggenbach: FM-RAIL-BOK Organizers' Message. LNCS 8368, pp. XI-XII, 2014. Gruner/Haxthausen/Maibaum/Roggenbach: Towards a Formal Methods Body of Knowledge for Railway Control and Safety Systems: FM-RAIL-BOK Workshop 2013. DTU Compute-Technical Report-2013 20, Technical University of Denmark, Kgs. Lyngby, 2013. Olivier/Gruner: On the Scientific Maturity of Digital Forensics Research. Chapter 3 of Advances in Digital Forensics IX, IFIP Advances in Information and Communication Technology 410, pp. 33-49, Springer-Verlag, 2013. Bosman/Gruner: Log File Analysis with Context-Free Grammars. Chapter 10 of Advances in Digital Forensics IX, IFIP Advances in Information and Communication Technology 410, pp. 145-152, Springer-Verlag, 2013. Malinga/Gruner/Koschmider: Quality and Usability of Mashup Tools: Criteria and Evaluation. SAICSIT'13: Proceedings of the South African Institute for Computer Scientists and Information Technologists Conference, pp. 154-159, ACM, 2013. Edwards/Gruner: A new Tool for URDAD to Java EE EJB Transformations. SAICSIT'13: Proceedings of the South African Institute for Computer Scientists and Information Technologists Conference, pp. 144-153, ACM, 2013. Working Group 7: Discussion about the Testing of MAS. Section 4.6, pp. 185-186 in Report from Dagstuhl Seminar 13181: VaToMAS - Verification and Testing of Multi-Agent Systems. Dagstuhl Reports 3/4, Leibniz-Zentrum für Informatik, 2013. Gruner: A few remarks about related work in Pretoria. Section 3.15, p. 162 in Report from Dagstuhl Seminar 13181: VaToMAS - Verification and Testing of Multi-Agent Systems. Dagstuhl Reports 3/4, Leibniz-Zentrum für Informatik, 2013. Gruner: Abstraction, Refinement, Enrichment. Part I, Chapter 1, pp.13-42 in Formal Aspects of Computing: Essays dedicated to Derrick Kourie on the occasion of his 65th Birthday, Shaker-Verlag, 2013. Gruner/Watson: Formal Aspects of Computing: Essays dedicated to Derrick Kourie on the occasion of his 65th Birthday. Shaker-Verlag, 2013. Ahmad/Gruner/Afzal: Computational Analysis of Medieval Manuscripts - A New Tool for Analysis and Mapping of Medieval Documents to Modern Orthography. Journal of Universal Computer Science, Vol. 18, Iss. 20, pp. 2750-2770, 2013. Gruner: Book Review: Eric Winsberg: Science in the Age of Computer Simulation. Minds and Machines 23/2, pp. 251-254, Springer-Verlag 2013. Gruner: Book Review: Science Transformed? Vol. 7 of Innovate Magazine, University of Pretoria, Dec. 2012. Gruner/Rumpe: FormSERA Workshop on Formal Methods in Software Engineering, Rigorous and Agile Approaches: 2nd of June 2012 at ICSE'2012 in Zürich (CH). ACM SIGSOFT Software Engineering Notes, Vol. 37, No. 6, pp. 28-30, Nov. 2012. Gnesi/Gruner/Plat/Rumpe (Eds. ): Proceedings FormSERA 2012 Workshop on Formal Methods in Software Engineering - Rigorous and Agile Approaches. Zürich (CH), June 2012, IEEE Publ. Solms/Edwards/Paar/Gruner: A Domain-specific Language for URDAD-based Requirements Elicitation. Proceedings SAICSIT'11, pp. 224-230, ACM Digital Library, 2011. Ahmad/Rahman/Gruner: A phonetic Approach to handling Spelling Variations in Medieval Documents. Proceedings SAICSIT'11, pp. 263-266, ACM Digital Library, 2011. Paar/Gruner: Static Typing with value-space-based Subtyping. Proceedings SAICSIT'11, pp. 177-186, ACM Digital Library, 2011. Gruner/v.Zyl: Software Testing in Small IT Companies - A (not only) South African Problem. South African Computer JOurnal, Vol. 47, pp. 7-32, 2011. Gruner (Guest-Ed. ): Editorial - Special Section on Formal plus Agile Methods. ACM SIGSOFT Software Engineering Notes, Vol. 36, No. 4, p. 26, July 2011. Solms/Gruner/Edwards: URDAD as a Quality-Driven Analysis and Design Process. Proceedings SOMET'11, pp. 141-158, Frontiers in Artificial Intelligence and Applications, Vol. 231, IOS Press, 2011. Gruner/Watson: Model-based Passive Testing of Safety-critical Components. Chapter 16 in Zander/Schieferdecker/Mosterman (eds. ): Model-Based Testing for Embedded Systems, CRC Press, 2011. Mülders/Gruner/Thang: Model-Driven Design plus Artificial Intelligence for Wireless Sensor Networks Software Development. Proceedings SESENA'11: 2nd ICSE-Workshop on Software Engineering for Sensor Network Applications, pp. 63-64, May 2011. Gruner: Problems for a Philosophy of Software Engineering. Minds and Machines, Vol.21, No.2, pp. 275-299, Springer-Verlag, 2011. Cerone/Gruner (Eds. ): Special Section on Software Engineering and Formal Methods - Extended Versions of Contributions Presented at SEFM 2008. Software and Systems Modelling, Vol.10, No.2, pp.143-252, Springer-Verlag, 2011. Geihs/Gruner/Römer: Report about 1st ICSE Workshop on Software Engineering for Sensor Network Applications (SESENA 2010). Software Engineering Notes 35/5, pp.34-37, ACM Press, 2010. Gruner/Rumpe (Eds. ): Proceedings FM+AM'2010 - 2nd International Workshop on Formal Methods and Agile Methods. Lecture Notes in Informatics, Vol. 179, ISBN 978-3-88579-273-4, GI Publ., 2010. Gruner: Hegels Ätherlehre - Including a Summary in English: Hegel's Aether Doctrine. VDM, ISBN 978-3-639-28451-5, 2010. Gruner: Towards a Generic Design for General-Purpose Sensor Network Nodes. Proceedings ENASE 2010: 5th Internat. Conf. on Evaluation of Novel Approaches to Softw. Eng., pp. 259-264, Athens-Pireus (GR), July 2010, SciTePress, ISBN: 978-989-8425-21-8, 2010. Gruner: Software Engineering Between Technics and Science: Recent Discussions about the Foundations and the Scientificness of a Rising Discipline. DOI 10.1007/s10838-010-9116-y, Journal for General Philosophy of Science / Zeitschrift für allgemeine Wissenschaftstheorie 41/1, pp. 237-260, Springer Verlag, June 2010. Gruner/Steyn: Deadlock-Freeness of Hexagonal Systolic Arrays. Information Processing Letters, Vol. 110, Iss. 14/15, pp. 539-543, Elsevier, 2010. Geihs/Gruner/Römer (Eds. ): SESENA 2010 Proceedings of the 2010 ICSE Workshop on Software Engineering for Sensor Network Applications - Editorial Preface. Cape Town (ZA), ISBN 978-1-60558-969-5, ACM Press, May 2010. Gruner (Ed. ): FM+AM'09 Workshop on Formal Methods and Agile Methods - Editorial Preface and Foreword. Innovations in Systems and Software Engineering (ISSE), Vol. 6, pp. 135-136, Springer-Verlag, 2010. Gruner: Mobile Agent Systems and Cellular Automata. Journal for Autonomous Agents and Multi-Agent Systems, Vol. 20, No. 2, pp. 198-233, Springer-Verlag, 2010. Jivan/Gruner: Tool Support for More Precise Use Case Specifications. Proc. WUP/ISS'09 Warm-Up Workshop for ACM/IEEE ICSE 2010, pp.29-32, Capetown-Strand (ZA), April 2009. ACM-ISBN: 978-1-60558-565-9. Kourie/Strauss/Gruner/Roggenbach/Watson: A New CSP Operator for Optional Parallelism. CSSE'08 Conference on Computer Science and Software Engineering, Vol. 2, pp. 788-791, Wuhan (China). Published by IEEE, December 2008. Gruner (guest-ed. ): Festschrift at the Occasion of the 60th Birthday of Derrick G. Kourie: Revised Papers. South-African Computer Journal / Suid Afrikaanse Rekenaar Tydskrif 41, Rekenaar Vereniging van Suid Afrika, Sabinet Publ., December 2008. Cerone/Gruner (Eds. ): SEFM 2008 Proceedings of the Sixth IEEE International Conference on Software Engineering and Formal Methods. Capetown (ZA), November 2008. Gruner: From Use-Cases to Test-Cases via Meta-Model-based Reasoning. ICFEM-affiliated Workshop UML+FM'08 on the Unified Modeling Language and Formal Methods, Kitakyushu (JP). Published in Innovations in Systems and Software Engineering: A NASA Journal, Vol.4 No.3, pp.223-231, Springer-Verlag, October 2008. Gruner: New Ethics of Technology - A Discourse in Germany in the 1990s. Paper presented to the Annual Conference of the Philosophical Society of Southern Africa, Pretoria, 16-18 January 2008. Published at UPSpace by the Philosophical Society of Southern Africa (PSSA), October 2008. Northover/Kourie/Boake/Gruner/Northover: Towards a Philosophy of Software Development: 40 Years after the Birth of Software Engineering. DOI: 10.1007/s10838-008-9068-7, Journal for General Philosophy of Science / Zeitschrift für allgemeine Wissenschaftstheorie 39/1, pp. 85-113, Springer Verlag, October 2008. Derbel/Mosbah/Gruner: Mobile Agents implementing Local Computations in Graphs. Proc. ICGT'08: 4th International Conference on Graph Transformation, Leicester (GB). LNCS 5214, pp.99-114, Springer Verlag, Berlin (D), September 2008. Gruner: Graph Transformation Model of a Triangulated Network of Mobile Units. GT-VMT-08 International Workshop on Graph Transformation and Visual Modeling Techniques, pp.319-331, Budapest (H), 29-30 March 2008. Revised Version [Post-Proceedings] in EC-EASST 10, ISSN:1863-2122, July 2008. Gruner/Watson (Eds. ): From Operations Research to Software Engineering and Beyond: Colloquium and Festschrift at the Occasion of the 60th Birthday of Derrick Kourie. Technical Report: Universiteit van Pretoria (ZA), June 2008. Gruner: Musings about Text Redundancy and Text Compression [Note: Non-Reviewed Preliminary Version]. In Gruner/Watson (Eds. ): Colloquium and Festschrift at the Occasion of the 60th Birthday of Derrick Kourie. Technical Report, Pretoria (ZA), June 2008. Gruner: Comments on 'How Would You Know If You Synthesized A Thinking Thing'. Minds and Machines 18/1, pp. 107-120, Springer-Verlag, 2008. ISSN: 0924-6495. Burkard/Vogeler/Gruner: Informatics for Historians: Tools for Medieval Document XML Markup, and their Impact on the History Sciences. Journal of Universal Computer Science 14/2, pp.193-210, 2008. ISSN: 0948-9968. Klopper/Gruner/Kourie: Assessment of a Framework to Compare Software Development Methodologies. Proc. SAICSIT'07, pp.56-65, Eastern Cape (ZA). ACM International Conference Proceeding Series Vol. 226, October 2007. Northover/Northover/Gruner/Kourie/Boake: Agile Software Development: A Contemporary Philosophical Perspective. Proc. SAICSIT'07, Eastern Cape (ZA). ACM International Conference Proceeding Series Vol. 226, October 2007. Northover/Northover/Gruner/Kourie/Boake: Extreme Programming: A Kuhnian Revolution? ICCS'07 15th International Workshop on Conceptual Structures, pp.199-204, Sheffield (GB), July 2007. Springer Verlag, ISBN: 978-1-84628-990-3. Vogeler/Gruner/Burkard: New Specialist Tools for Medieval Document XML Markup. Document Engineering Track, Proc. SAC'07 Annual ACM Symposium on Applied Computing, Vol.1, pp.594-599, Seoul (KR), March 2007. Also reported in Innovate Magazine, Issue 2, pp.40-41, Pretoria, June 2007. Subotic/Bishop/Gruner: Aspect-Oriented Programming for a Distributed Framework. South African Computer Journal / Suid Afrikaanse Rekenaar Tydskrif 37, pp.81-89, Rekenaar Vereniging van Suid Afrika, Sabinet Publ., December 2006. Gruner: Mobile Agent Systems and Cellular Automata. LABRI Research Report 1400-06, Universite Bordeaux I, April 2006. Gruner/Shin (Eds. ): Editorial Message: Sound Solutions for the 21st Century. SAC'06 Annual ACM Symposium on Applied Computing, pp.1711-1712, Dijon (F), 2006. Shin/Gruner (Guest-Eds. ): Special Issue on Software Engineering and Software Dependability. Journal of Information Science and Engineering 22/2, Taiwan, 2006. Isobe/Roggenbach/Gruner: Extending CSP Prover by Deadlock Analysis: Towards the Verification of Systolic Arrays. Proceedings of the FOSE 2005 12th Japanese Workshop on Foundations of Software Engineering, (JP), November 2005. Gruner/Naven: Tool Support for Plagiarism Detection in Text Documents. Document Engineering Track of the SAC'05 Annual ACM Symposium on Applied Computing, Vol.1, pp.776-781, Santa Fe (USA), March 2005. Gruner (Guest-Ed. ): Studia Informatica Universalis 3/3, Editions Suger, Collection Informatique, Paris (F), 2004. Chiang/El-Far/Gruner/Montigel/Thompson (Eds. ): Editorial Message: Special Track on Software Engineering: Applications, Practices and Tools. SAC'04 Annual ACM Symposium on Applied Computing, Vol.2, pp.1511-1512, Nicosia (CY), March 2004. Reported in German language in: Gruner, Bericht zum 19. ACM-SAC Symposium `Applied Computing' vom 14. bis 17. März 2004 in Nicosia, Zypern. Softwaretechnik-Trends 24/2, pp.82-83, Gesellschaft für Informatik, Bonn (D) Mai 2004. Also reported in: Gruner, Report about the Track `Software Engineering: Applications, Practices and Tools' at the SAC'2004 19th Annual ACM Symposium on Applied Computing. Software Engineering Notes 29/3, pp.3-4, ACM SIGSOFT, New York (USA), 2004. Chiang/El-Far/Gruner/Montigel/Thompson/Whittaker (Eds. ): Special Issue on Software Engineering: Applications, Practices and Tools from the ACM Symposium on Applied Computing 2003. Information and Software Technology 46/5, Elsevier (NL), 2004. Augusto/Howard/Ferreira/Gravell/Gruner: Concurrent Development of Model and Implementation. ICSSEA'03: 16th International Conference on Software and Systems Engineering and their Applications. Paris (F), December 2003. Metivier/Mosbah/Wacrenier/Gruner: A Distributed Algorithm for Computing a Spanning Tree in Anonymous T-Prime Graphs. OPODIS'2001 Symposium on Principles of Distributed Systems, Manzanillo (MEX), Post-published in Special Issue Vol.2 HS.2 of Studia Informatica Universalis, pp.141-158, Paris (F), 2003. Augusto/Howard/Gravell/Ferreira/Gruner/Leuschel: Model-Based Approaches for Validating Business Critical Systems. 11th Annual Internat. Workshop on Softw. Techn. and Eng. Pract., pp.225-233, Amsterdam (NL), IEEE Press, 2003/2004. Augusto/Ferreira/Gravell/Gruner/Howard: Model-Based Trace Checking. Proceedings SoftTest UK Testing Research II Workshop on Software Testing. Technical Report: York Computer Science Yellow Report Series, York (GB), 2003. Gruner: Abstract Partial Deduction Challenged. LNCS 2664, pp.258-259, Springer Verlag, Heidelberg (D) 2003. Leuschel/Gruner/Lo-Presti (Eds. ): Proceedings of the 3rd Workshop on Automated Verification of Critical Systems: AVoCS'03. Technical Report: DSSE-TR-2003-2, University of Southampton (GB), 2003. Thompson/Chiang/El-Far/Gruner/Montigel/Whittaker (Eds. ): Editorial Message: Special Track on Software Engineering: Applications, Practices and Tools. SAC'03 Annual ACM Symposium on Applied Computing, pp.1076-1077, Melbourne (USA) 2003. Reported in: Software Engineering Notes 28/2, pp.8-9, ACM Press, 2003. Also reported in: Gruner, Special Track on Software Engineering - Applications, Practices and Tools, SAC'03 18th Annual ACM Symposium on Applied Computing. Softwaretechnik-Trends 23/2, pp.56-58, Gesellschaft für Informatik, Bonn (D) 2003. Leuschel/Gruner: Abstract Conjunctive Partial Deduction using Regular Types and its Application to Model Checking. LNCS 2372, pp.91-110, Springer Verlag, Heidelberg (D) 2002. Bauderon/Gruner/Mosbah: A Tool for Interactive Visualization of Distributed Algorithms. MFI'01: Premieres Journees Francophones des Modeles Formels de l'Interaction, Toulouse (F) 2001. Bauderon/Gruner/Mosbah: A New Tool for the Simulation and Visualisation of Distributed Algorithms. Dagstuhl Seminar 00411 on Semi-Formal and Formal Specification Techniques for Software Systems, p.2, Schloß Dagstuhl (D) 2000. Gruner/Kurt: Diagrammatic Control of Diagrammatic Structure Generation. LNAI 1889, pp.422-436, Springer Verlag, Heidelberg (D) 2000. Gruner/Kurt/Taentzer: A Visual Modeling Technique for Controlling Graph Transformations. ICALP'2000 Satellite Workshop on Graph Transformation and Visual Modeling Techniques. Proceedings in Informatics 8, Carleton Scientific, Waterloo (CDN) 2000. Gruner: Meta Typing is Compatible to the Typed SPO Approach. GRATRA 2000 Joint Appligraph/Getgrats Workshop on Graph Transformation Systems. Technical Report: 2000-2, pp.50-58, Fachbereich Informatik, Technische Universität Berlin (D), 2000. Gruner: A Combined Graph Schema and Graph Grammar Approach to Consistency in Distributed Data Modeling. LNCS 1779, Springer Verlag, Heidelberg (D) 2000. Gruner: Eine schematische und grammatische Korrespondenzmethode zur Spezifikation konsistent verteilter Datenmodelle. Reihe Informatik, Shaker-Verlag, Aachen (D) 1999. Accepted as Doctoral Dissertation, RWTH Aachen (D) 1999, as reported in: Informatik Forschung und Entwicklung, Praxis der Informationsverarbeitung und Kommunikation, Softwaretechnik-Trends, and Wirtschaftsinformatik, 1999/2000. Cremer/Gruner/Nagl: Graph Transformation based Tools for Chemical Process Engineering. In Ehrig et al. (Eds. ): Handbook of Graph Grammars and Computing by Graph Transformation Vol.2, World Scientific, Singapur 1999. Gruner/Nagl/Sauer/Schürr: Inkrementelle Integrationswerkzeuge für arbeitsteilige Entwicklungsprozesse. Part II, Chapter 3.2 in Nagl/Westfechtel (Eds. ), Integration von Entwicklungssystemen in Ingenieuranwendungen, Springer Verlag, Heidelberg (D) 1998/99. Gruner: Why should Chemo-Engineers be interested in Graph Grammars? TAGT'98: 6th international Workshop on Theory and Application of Graph Transformation. Pre-Proceedings, Technical Report TR-RI-98-201, pp.72-79, Fachbereich Mathematik & Informatik, Universität-GH Paderborn, Paderborn (D) 1998. Gruner/Nagl/Schürr: Integration Tools supporting Development Processes. LNCS 1526, Springer Verlag, Heidelberg (D) 1998. Gruner: Werkzeugspezifikation mit Schemakorrespondenzen. Softwaretechnik-Trends, 17/3, pp.39-42, Gesellschaft für Informatik, Bonn (D) 1997. Gruner: On the Benefits of Deforestation: A Quantitative Analysis. Published as Micro-Fiche after being accepted as Diplomarbeit / Diploma-Scriptie / M.Sc. Thesis, Universiteit van Amsterdam (NL) 1995: Edition Wissenschaft, Reihe Informatik, Vol. 15, Tectum-Verlag, Marburg (D) 1996/97. Member of the M.Sc. Examination Committee to Madoda Nxumalo, Universiteit van Pretoria (ZA), February 2016. Reviewer for Philosophy and Technology, January 2016. Programme Committee Chairman and Proceedings Editor of SACLA`2016. Programme Committee Member of IACAP`2016. Programme Committee Member of ICSE`2016. Advisor for the 4th-Year CS Students at the University of Pretoria, 2016. Hosted Mike Poppleton for a research visit to our local department, October 2015. Hosted Gottfried Vossen for a research visit to our local department, October 2015. Reviewer for the forthcoming Festschrift for Jose Oliveira, October 2015. External Examiner for the University of South Africa (RSA), September-October 2015. External Examiner for the University of the Witwatersrand (RSA), September-October 2015. Reviewer for the Claude Leon Foundation, September 2015. Programme Committee Member of the SOFL+MSVL`2015 Workshop, August 2015. Reviewer for the South African Computer Journal, August 2015. External Academic Co-Supervisor (together with Tom Maibaum) of M.Appl.Sc. candidate Apurva Kumar, McMaster University (Canada), who successfully passed her examinations for the M.Appl.Sc. degree, July-August 2015. Reviewer for the South African NRF, July 2015. Member of the Ph.D. Examination Committee to George Sibiya, Universiteit van Pretoria (ZA), June 2015. Member of the Ph.D. Examination Committee to Madeleine Bella, Universiteit van Pretoria (ZA), June 2015. Member of the M.Sc. Examination Committee to Christoph Stallmann, Universiteit van Pretoria (ZA), June 2015. Member of the EAPLS annual 'Best PhD Dissertation Award' Committee, June 2015. External Examiner for the Nelson-Mandela Metropolitan University (RSA), June 2015. External Examiner for the University of Johannesburg (RSA), June 2015. External Examiner for the University of the Witwatersrand (RSA), June 2015. External Arbitrator for the University of the Witwatersrand (RSA) in the case of a disputed Master-thesis, April 2015. Academic Supervisor of M.Eng. candidate Theuns Steyn who passed his examination and M.Eng. degree "with distinction", April 2015. Hosted Markus Roggenbach for a research visit to our local department, April 2015. Reviewer for Innovations in Systems and Software Engineering, February 2015. Member of the M.Sc. Examination Committee to Noh Tewolde, Universiteit van Pretoria (ZA), February 2015. Member of the Ph.D. Examination Committee to Mary Fasan-Adedayo, Universiteit van Pretoria (ZA), February 2015. Member of the M.Sc. Examination Committee to Anastassia Rakitianskaja, Universiteit van Pretoria (ZA), February 2015. Member of the M.Sc. Examination Committee to Kristina Georgieva, Universiteit van Pretoria (ZA), January 2015. Track Co-Chair (together with Herbert Kuchen) for ECIS`2015, January-May 2015. Membership in various internal committees at the University of Pretoria, 2015. Advisor for the 4th-Year CS Students at the University of Pretoria, 2015. Programme Committee Member of the DANCE`2014 Workshop on Distributed Architecture Modeling for Novel Component-based Embedded Systems, December 2014. Professional Member of IITPSA with Critical Skills Certificate, November 2014. Member of the M.Sc. Examination Committee to Christine Kroeze, Universiteit van Pretoria (ZA), October 2014. External Examiner for the University of South Africa (RSA), second semester of 2014. External Examiner for the University of the Witwatersrand (RSA), second semester of 2014. Reviewer for ACIS`2014, September 2014. Panel Member for the South African NRF on various Project Selection Committees, August-September 2014. Programme Committee Member of the SOFL+MSVL`2014 Workshop, August 2014. Member of the M.Sc. Examination Committee to Jhani de Bruijn, Universiteit van Pretoria (ZA), July 2014. Programme Committee Member of SAICSIT`2014, July 2014. Reviewer for Software Testing Verification and Reliability, June 2014. External Examiner for the University of the Witwatersrand (RSA), first semester of 2014. Member of the EAPLS annual 'Best PhD Dissertation Award' Committee, March 2014. My name appeared in the acknowledgments of the 3rd edition of the textbook: Foundations of Computer Science, February 2014. Reviewer for Data and Knowledge Engineering, February 2014. Reviewer for the South African Computer Journal, January 2014. Reviewer for Philosophy and Technology, January 2014. Programme Committee Member of the FM`2014 Symposium, January 2014. Membership in various internal committees at the University of Pretoria, 2014. Advisor for the 4th-Year CS Students at the University of Pretoria, 2014. Reviewer for the SEFM`13 Workshop Post-Proceedings, December 2013. Reviewer for Information and Software Technology, December 2013. Reviewer for Philosophy and Technology, November 2013. Reviewer for the South African NRF, July-November 2013. Interviewer in the DELL DYL Bursary Programme for socially and economically disadvantaged students, July 2013. Member of the M.Sc. Examination Committee to Ickin Vural, Universiteit van Pretoria (ZA), July 2013. Member of the SEFM Most Influencial Paper of the Decade Prize committee, June 2013. Reviewer for Information and Software Technlogy, June 2013. Member of the M.Eng. Examination Committee to Nico Engelbrecht, Universiteit van Pretoria (ZA), June 2013. Reviewer for the Journal Synthese, May 2013. Reviewer for the Journal of General Philosophy of Science, April 2013. Member of (and reviewer for) the EAPLS annual Best PhD Dissertation Prize committee, February-March 2013. Member of the Ph.D. Examination Committee to Marianne Loock, Universiteit van Pretoria (ZA), February 2013. Member of the M.Sc. Examination Committee to Michael Köhn, Universiteit van Pretoria (ZA), February 2013. Reviewer for the South African Computer Journal, January 2013. PC member and reviewer for a Volume 58 of the Electronic Communications of the EASST (post-proceedings of the Workshop GCM'12 on Graph Computation Models), January 2013. Membership in various internal funding committees at the University of Pretoria, 2013. Advisor for the 4th-Year CS Students at the University of Pretoria, 2013. Reviewer for Agile and Lean Service-Oriented Development: Foundations, Theory, and Practice, IGI Press, Nov. 2012. External Examiner for the University of the Witwatersrand (ZA), July 2012. External Examiner for the Universiteit van Johannesburg (ZA), July 2012. Member of the Ph.D. Examination Committee to du Plessis, Universiteit van Pretoria (ZA), July 2012. Member of the Ph.D. Examination Committee to M. Helbig, Universiteit van Pretoria (ZA), July 2012. Member of the Ph.D. Examination Committee to Kamil Reddy, Universiteit van Pretoria (ZA), July 2012. Committe Member for the EAPLS Dissertation Prize, Feb. 2012. Reviewer for Journal for Transdisciplinary Research in Southern Africa, 2012. Reviewer for the South African NRF Rating Scheme, 2012. Reviewer for the SEAA'2012 38th Euromicro Conference, 2012. PC Member of the GCM Workshop on Graph Computation Models, 2012. PC Co-Chair of the FORMSERA Workshop at ICSE'12, Zürich (CH), June 2012. Member of the Ph.D. Examination Committee to Pierre Rautenbach, Universiteit van Pretoria (ZA), June 2012. Reviewer for the ACM Transactions on Software Engineering and Methodology, Feb. 2012. Membership in various internal funding committees at the University of Pretoria, 2012. Member of the M.Sc. Examination Committee to Gary Pampara, Universiteit van Pretoria (ZA), Feb. 2012. Member of the M.Sc. Examination Committee to Francois Mouton, Universiteit van Pretoria (ZA), Jan. 2012. Member of the M.Sc. Examination Committee to Anna Rakitianskaia, Universiteit van Pretoria (ZA), Jan. 2012. Advisor for the 4th-Year CS Students at the University of Pretoria, 2012. Editorial committee member and Reviewer for Model-Based Testing of Embedded Systems, CRC Press, 2011. Editorial Committee Member for Volume 39 of EC-EASST, 2011. Programme Committee Member of ICTAC'11: 8th International Colloquium on Theoretical Advances in Computing, Johannesburg (ZA), September 2011. Programme Committee Member of SEAA'11-affiliated Workshop on Distributed Architecture modeling for Novel Component based Embedded systems (DANCE) at the 37th Euromicro Conference, Oulu (SF), August/September 2011. External Examiner for the University of the Witwatersrand (ZA), June-July 2011. External Examiner for the Universiteit van Johannesburg (ZA), June-July 2011. Member of the Ph.D. 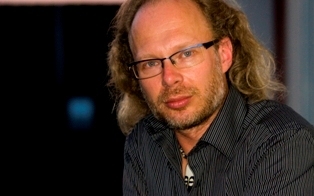 Examination Committee to Neil Croft, Universiteit van Pretoria (ZA), June 2011. Member of the Ph.D. Examination Committee to Wesley Brandi, Universiteit van Pretoria (ZA), June 2011. Member of the Ph.D. Examination Committee to Alexander Graaff, Universiteit van Pretoria (ZA), June 2011. Programme Committee Member of SESENA'11: 2nd International Workshop on Software Engineering for Sensor Network Applications, Honolulu (USA), May 2011. Project Reviewer and Panel Member for the Council for Scientific and Industrial Research (CSIR), Pretoria (ZA), February/March 2011. Reviewer for the Zeitschrift für allgemeine Wissenschaftstheorie (JGPS), Springer-Verlag, January 2011. Project Reviewer for the Ministry of Research and Innovation (MRI) of the Government of Ontario (CDN), January 2011. Expert Committee Member for the 1st EAPLS PhD Award (Best European Dissertation Award in Programming Languages and Systems), 2010/2011. Member of the M.Sc. Examination Committee to Eileen Dean, Universiteit van Pretoria (ZA), November 2010. Member of the Ph.D. Examination Committee to Bruce Watson (2nd doctoral degree), Universiteit van Pretoria (ZA), November 2010. PC Member of the 3rd Workshop on Graph Computation Models (GCM'2010) at the 5th International conference on Graph Transformation (ICGT'2010), Enschede (NL), October 2010. Reviewer for the 5th International conference on Graph Transformation (ICGT'2010), Enschede (NL), October 2010. Programme Committee Member of the SAICSIT'2010 Annual Research Conference of the South African Institute for Computer Scientists and Information Technologists, Warmbad / Bela-Bela (ZA), October 2010. Project Reviewer for the South-African NRF, September 2010. Programme Chair of the FM+AM'2010: 2nd International Workshop on Formal Methods and Agile Methods in Software Engineering, at SEFM'10, Pisa (I), September 2010. Member of the Ph.D. Examination Committee to Patricia Lutu, Universiteit van Pretoria (ZA), July 2010. Member of the Ph.D. Examination Committee to Isabella Schoeman, Universiteit van Pretoria (ZA), July 2010. Member of the M.Sc. Examination Committee to Piotr Marek Zielinski, Universiteit van Pretoria (ZA), May 2010. PC Member of the 1st Workshop on Distributed Architecture Modeling for Novel Component Embedded Systems (DANCE'2010) at the 10th International conference on New Technologies of Distributed Systems (NOTERE'2010), Tozeur (TUN), May 2010. PC Co-Chair of the 1st Workshop on Software Engineering for Sensor Network Applications (SESENA) at the 32nd International conference on Software Engineering (ICSE'2010), Capetown (ZA), May 2010. Member of the Workshop Selection Committee to the ICSE 2010 International Conference on Software Engineering, Capetown (ZA), May 2010. External MSc-Examiner for Mary Fasan, Universiteit van Stellenbosch (ZA), April 2010. Case Reviewer for the South-African Qualifications Authority SAQA, February 2010. Member of the M.Sc. Examination Committee to Pieter van Zyl, Universiteit van Pretoria (ZA), February 2010. Member of the M.Sc. Examination Committee to Marius Smit, Universiteit van Pretoria (ZA), January 2010. Technical Reviewer for the Handbook of Technology Management, John Wiley & Sons Publ., January 2010. Reviewer for the South-African NRF, December 2009/January 2010. Programme Chair of the FM+AM'09 International Workshop on Formal Methods and Agile Methods at ICFEM'09, Rio de Janeiro (BRA), December 2009. Reviewer for the ICFEM'09 International Conference on Formal Engineering Methods, Rio de Janeiro (BRA), December 2009. Biographic entry in the 27th Edition (2010) of Who's Who in the World, Marquis Publ. (USA), November 2009. Programme Committee Member to SEFM-2009: 7th IEEE Conference on Software Engineering and Formal Methods, Hanoi (VTN), November 2009. Member of the Ph.D. Examination Committee to Emmad Saadeh, Universiteit van Pretoria (ZA), October 2008. Programme Committee Member of the SAICSIT'09 South-African Symposium on Computer Science and Information Technology, Riverside (ZA), October 2009. Member of the M.Sc. Examination Committee to Evangelos Papacostantis, Universiteit van Pretoria (ZA), October 2009. Member of the M.Sc. Examination Committee to Theodore Koopman, Universiteit van Pretoria (ZA), September 2009. Project Reviewer for de Nederlandse Organisatie voor Wetenschappelijk Onderzoek (NWO), August 2009. Member of the M.Sc. Examination Committee to Wikus Coetser, Universiteit van Pretoria (ZA), August 2009. Participation at Intellectual and Moral Leadership - What is a University for? : 10th Anniversary Symposium of the St. Augustine College, Johannesburg (ZA), July 2009. Member of the Ph.D. Examination Committee to Salman Khan, Universiteit van Pretoria (ZA), July 2009. Programme Committee Member of the SACLA'09 Symposium of the South African Computing Lecturers Association, Mpekweni (ZA), July 2009. Participation at the Emeritation Ceremony for Manfred Nagl, Fachgruppe Informatik, RWTH Aachen (D), June 2009. External Examiner for the Universiteit van Johannesburg (ZA), June 2009. Participation at a CSSA SIGIST Seminar on Agile Software Testing, Johannesburg (ZA), May 2009. Acting manager of the Distributed Systems Research Group at the Department of Computer Science, Universiteit van Pretoria (ZA), January - June 2009. Contributing Editor to Innovate Issue 03:2009, ISSN 1814-443X, January 2009. External Ph.D. Examiner to Sheela Abbas, Universite de Bordeaux (F), December 2008. Member of the M.Sc. Examination Committee to Mario Poggiolini, Universiteit van Pretoria (ZA), December 2008. Member of the M.Sc. Examination Committee to Mandy Northover, Universiteit van Pretoria (ZA), December 2008. Programme Co-Chair to SEFM-2008: 6th IEEE Conference on Software Engineering and Formal Methods, Capetown (ZA), November 2008. Reviewer for a Special Track on Service Engineering for Next Generation Networks and Converged Telecom and Web 2.0 Services at ISoLA'08, Porto Sani, Hellas/Greece (GR), October 2008. Invited Panelist to the panel discussion at the UML+FM'08 ICFEM-affiliated Workshop on the Unified Modeling Language and Formal Methods, Kitakyushu (JP), October 2008. Programme Committee Member of the SAICSIT'08 South-African Symposium on Computer Science and Information Technology, Wilderness Beach (ZA), October 2008. Reviewer for the South African Journal of Industrial Engineering, September 2008. Programme Committee Member of the GCM-08 Workshop on Graph Computation Models, Leicester (GB), September 2008. Reviewer for the ICGT'08 4th International Conference on Graph Transformation, Leicester (GB), September 2008. Co-Organiser of the Fest-Colloquium at the Occasion of the 60th Birthday of Derrick Kourie, Windy Brow (ZA), June 2008. Member of the M.Sc. Examination Committee to Bernardt Duvenhage, Universiteit van Pretoria (ZA), June 2008. Guest-Speaker at the Philosophy Seminar of UNISA, Pretoria (ZA), June 2008. Reviewer for Software Practice and Experience, Wiley Publishers, April 2008. Research Visit, together with Derrick Kourie, to the Department of Computer Science at the University of Swansea (GB), March 2008. Participation at the BCS Grand Challenges 6 Workshop on Dependable Systems Evolution, London (GB), March 2008. Technical Reviewer for Van Schaik Publishers, Book: 3d edition of Information Technology Research by Martin Olivier, 2008. Participation at the Annual Conference of the Philosophical Society of Southern Africa, Pretoria (ZA), January 2008, with a presentation about New Ethics of Technology: A Discourse in Germany in the 1990s. Member of the M.Sc. Examination Committee to Johan(nes) Delport, Universiteit van Pretoria (ZA), December 2007. External Examiner to the Universiteit van Johannesburg (ZA), November 2007. Co-Organization of and Participation at the ESPRESSO/FASTAR Seminar on Software Engineering and Finite Automata: Fort Schanskop (ZA), October 2007. Technical Reviewer for O'Reilly Publishers, Book: C# 3.0 Design Patterns by Judith Bishop, October 2007. Programme Committee Member of and Session Chair at the SAICSIT'07 South-African Symposium on Computer Science and Information Technology, Sunshine Coast (ZA), October 2007. Reviewer to the SATNAC'07: 10th Southern African Telecommunication Networks and Applications Conference, Mauritius (ZA), September 2007. Reviewer to the ESORICS'07: 12th European Symposium On Research In Computer Security, Dresden (D), September 2007. External Referee of the Ph.D. Exam Committee to Brahim Hamid, Universit\E9 Bordeaux (F), June 2007. Co-Supervision of MSc-Students Riaan Klopper, Mandy Northover: Universiteit van Pretoria (ZA), 2007--. Member of the M.Sc. Examination Committee to David Fick, Universiteit van Pretoria (ZA), February 2007. Comments on Draft of Magisterarbeit (M.A. Thesis) by Martin Gruner, Augsburg (D), 2007. Comments on Draft of M.Sc. Thesis by May Chan, Pretoria (ZA), 2007. Comments on Draft of M.Sc. Thesis by Johnny Lo, Pretoria (ZA), 2006. Participation at the ESPRESSO/FASTAR Seminar on Software Engineering and Finite Automata, Maropeng (ZA), November 2006. Programme Committee Member of the DOA'06, 8th Internat. Symp. on Distributed Objects and Applic., Montpellier (F), 2006. Programme Committee Member of and Participation at the SAICSIT'06 South-African Symposium on Computer Science and Information Technology, Somerset West (ZA), October 2006. Programme Committee Member of the GMC Workshop on Graph Computation Models, Natal (Brazil), 2006. Co-Chair of the SAC-SE-06 Track on Softw. Eng., ACM-SAC Annual Symposium on Applied Computing, Dijon (F), 2006. Research Visit to the LABRI Informatics Laboratories at the University of Bordeaux (F), March-May 2006. Reviewer for a Special Issue of JISE 22/2, 2005/2006. Reviewer for the South African Computer Journal / Suid Afrikaanse Rekenaar Tydskrif, 2005. Reviewer for the FM'05 13th FME Symposium on Formal Methods, Newcastle (GB), 2005. Chair of the ACM SAC'05 Track on Software Engineering, Santa Fe (USA), 2005. Co-Organiser of the weekly research seminars, Swansea (GB), 2004-2005. External Referee and Member of the Ph.D. Exam Committee to Afif Sellami, Universit\E9 Bordeaux (F), November/December 2004. Reviewer for the AVoCS'04 Workshop on Automated Verification of Critical Systems, London (GB), September 2004. Comments on Draft of M.Sc. Thesis by Mike Dacey, Swansea (GB), 2004. Co-Chair of the ACM SAC'04 Track on Software Engineering, Nicosia (CY), 2004. Reviewer for a Special Issue of Software Testing Verification and Reliability, 2003/2004. Participation at the TFMm 2003 Workshop on Teaching Formal Methods, Brookes University Oxford (GB), December 2003. Reviewer for the ICFEM'03 5th International Conference on Formal Engineering Methods, Singapore, 2003. Reviewer for the LOPSTR'03 International Symposium on Logic Based Program Synthesis and Transformation, Uppsala (S), 2003. Reviewer for the MFCS 2003 28th Internat. Symp. on Math. Foundations of Comp. Sc., Bratislava/Preßburg (Slovakia), 2003. Reviewer for the FM 2003 12th International FME Symposium on Formal Methods, Pisa (I), 2003. Reviewer for the VVEIS'03 1st International Workshop on Verification and Validation of Enterprise Information Systems, Angers (F), 2003. Co-Organiser of the AVoCS'03 Workshop on Automated Verification of Critical Systems, Southampton (GB), 2003. Co-Chair of the ACM SAC'03 Track on Software Engineering, Florida (USA), 2003. Reviewer for the ACM SAC'03 Track on Coordination Models, Languages and Applications, Florida (USA), 2003. Reviewer for the VCL'02 3rd International Workshop on Verification and Computational Logic, (USA), 2002. Reviewer for the LOPSTR'02 International Workshop on Logic Based Program Development and Transformation, Madrid (E), 2002. Reviewer for the ICFEM'02 4th International Conference on Formal Engineering Methods, Schanghai (PRC), 2002. Comments on Draft of Generic Modelling with Graph Rewriting Systems, Doctoral Diss. by Manfred Münch, RWTH Aachen (D), 2002. Reviewer for the ICLP 2002 International Conference on Logic Programming, Copenhagen (DK), 2002. Member of the Webmaster Team of Formal Methods Europe, 2001-2002. Reviewer for the LOBSTR 2001 11th Internat. Workshop on Logic-Based Program Synth. and Transform., Paphos (CY), 2001. Reviewer for the SOFSEM 2001 28th Annual Conf. on Current Trends in Theory and Pract. of Informatics, Piestany (SLO), 2001. Reviewer for the 6th FMICS Workshop on Formal Methods for Industrial Critical Systems, Paris (F), 2001. Reviewer for the 21st FORTE/PSTV Conference on Formal Techniques for Networked and Distributed Systems, Cheju (KR), 2001. Ph.D. Referee and External Examiner of Marlene Ross, Faculteit der Natuur- en Landbouwetenskappe, Universiteit van Pretoria (ZA), 2001. Comments on Draft of Diplomarbeit (M.Sc. Thesis) by Thorsten Schultzke, Technische Universität Berlin (D), 2000/2001. Reviewer for the JSFT'2000 Journ\E9es Scientifiques Franco-Tunisiennes, Monastir (TUN), Oct. 2000. Early Member of the new EASST (European Association for Software Science and Technology), Berlin (D), 2000. Supervision of Diplomarbeit (M.Sc. Thesis) by Murat Kurt, Technische Universität Berlin (D), 2000. Comments on Draft of GENGED: Visual Definition of Visual Languages, Doctoral Diss. by Roswitha Bardohl, Technische Universität Berlin (D), 1999/2000. Member of the Daily Etaps Newsletter Group at the ETAPS 2000 Conferences, Berlin (D), 2000. Reviewer for the GRATRA 2000 Workshop on Graph Transformation, Berlin (D), 2000. Reviewer for the AGTIVE'99 Workshop on Graph Transformation, Kerkrade (NL), 1999. Reviewer for the TAGT'98 Workshop on of Graph Transformation, Paderborn (D), 1998. Reviewer for the Modellierung'98 German Workshop on Modelling, Münster (D), 1998. Participation at the European School on Graph Transformation, Bremen (D), March 1998. Comments on Draft of CORBA: Kommunikation und Management, Venia Legendi / Habilitation Diss. by Claudia Linnhoff-Popien, RWTH Aachen (D), 1997/1998. What I did not explicitly enumerate in this list are the presentations of papers at those conferences and workshops which are mentioned in the Publications section above. Of course I have done much more in my life, but those non-scientific activities does not belong onto this more or less "professional" website. Moreover, I did not mention the usual academic activities such as the supervision of undergraduate seminar students, undergraduate project students, courses, lectures, etc. As far as I remember I also did the odd one or another paper review for my colleague M.Roggenbach, but I do not know any more for which workshop or symposium that was. Formal Methods Europe (FME): ordinary member. European Association for Programming Languages (EAPLS): member of the selection committee for the Annual Best Dissertation Award. European Association for Software Science and Technology (EASST): ordinary member. Institute of Information Technology Professionals in South Africa (IITPSA): member "with critical skills". PhD studies: funded by the DFG (Deutsche Forschungsgemeinschaft) within the scheme of a Graduiertenkolleg. AVoCS 2003 : FME (Formal Methods Europe) responded positively to my application for financial support of that workshop. RDP 2007/09: NRF support grant for 3-year small-scale project on UML and Formal Logic. NRF/Roy-Soc: bi-national (British/South-African) support grant for a project on CSP protocol verification through automated theorem proving, 2007, in cooperation with the University of Swansea. FME grant for a project on Formal Specifications, 2007. NRF grant for a project on Visualization of Distributed Algorithms, in cooperation with LABRI Bordeaux, 2007. FME grant in support of the Invited Speaker of our SEFM'08 Conference in Capetown (ZA), 2008. NRF/BMBF bi-national (German/South-African) support grant for a project on Model-Driven Software Development for Wireless Sensor Networks, 2009, in cooperation with the University of Kassel. University of Pretoria: for the funding of two post-doctoral research fellows (Agnes Koschmider and Alexander Paar) in my research group during the year 2010. University of Pretoria and the National Research Foundation (NRF) of South Africa: for the funding of a post-doctoral research fellow (Nils Timm) in my research group since the year 2013. NRF: for regular annual research support funds since the year 2013. University of Pretoria: for a financial contribution to Mike Poppleton's visit to my research group in November 2015. 4, via: Y. Metivier > E. Sopena > T. Luczak > P. Erdös. 5, via: M. Roggenbach > T. Mossakowski > G. Strecker > M. Erne > P. Erdös. 5, via: G. Taentzer > H. Ehrig > V. Trnkova > Z. Hedrlin > P. Erdös. [This Page is hosted, with Applicability of German Law, in the Federal Republic of Germany.] In einem Urteil vom 12.05.1998 (312 O 85/98: "Haftung für Links") hat das Landgericht Hamburg entschieden, dass man durch das Setzen eines Weblinks, die Inhalte der so vernetzten Webseite gegebenenfalls mitzuverantworten hat. Dies kann dem genannten Urteil zufolge nur dadurch verhindert werden, dass man sich ausdrücklich von jenen Inhalten distanziert. Im Sinne jenes Hamburger Urteils (312 O 85/98) distanziere ich mich ausdrücklich von den Inhalten der oben durch Weblinks zitierten Webseiten.